Kenya Sevens star Willy Ambaka will switch to the longer version of the game and will be handed his Simbas debut on Saturday as Kenya plays Tunisia in their fourth Rugby Africa Gold Cup match at the RFUEA ground in Nairobi. Ambaka who has played professional 15s rugby has been training with the Simbas and has impressed coach Ian Snook enough to be handed a role against the Tunisians. “Willy spoke to me after the Uganda game and indicated his interest so Rouly (Murray Roulston) and I did some research with Manawatu where he had played previously and the reports were extremely positive,” Snook said of his decision to start Ambaka. The tactician has made only two changes from the team that beat Uganda last month with Martin Owilah being introduced at blindside for George Nyambua. “This is a reward for consistently high levels at trainings and when coming off the bench in previous games. The three selectors, myself, Charles Ngovi and Dominique Habibana all were of the same opinion that he deserved this opportunity,” Snook said. The Simbas will be looking for a vital win to propel them closer to making a dream place at next year’s World Cup in Japan. They are currently second in the standings behind leaders Namibia who have played a match more. They face the Southern Africans in the final match on August 18. 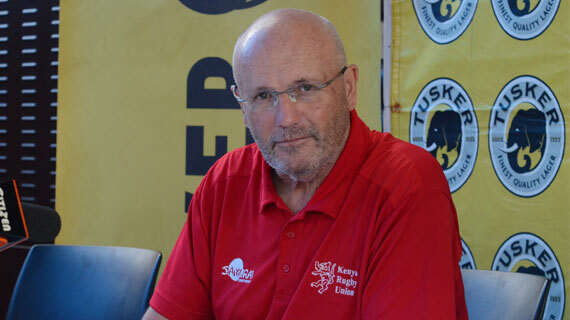 Snook meanwhile says he expects a tough tie from Tunisia despite the fact that their last visit in Nairobi ended in a 100-10 loss. Tunisia shocked Zimbabwe in their last match in Tunis. “I have seen their other results and watched their games so I know it will be a physical game which will take the normal 100% effort from the boys. Tunisia have been in town all week so will have had plenty of time to fine-tune things and be well prepared,” Snook noted. REPLACEMENTS 16. Peter Karia, 17. Moses Amusala (KCB), 18. Hillary Mwanjilwa (Kabras Sugar), 19.Malcolm Onsando (Kenya Harlequin), 20. George Nyambua (Kabras Sugar), 21. Mohamed Omollo, 22. Maxwell Kang’eri, 23. Tony Onyango (Homeboyz).